Drummer Jeff Jerolamon has waited a long time for this belated introduction to a wide audience on disc. Unlike most working musicians who start recording in their early 20s, Jeff reaches us on this debut as a highly, skilled mature stylist with a wealth of experience behind him at the age of 37. 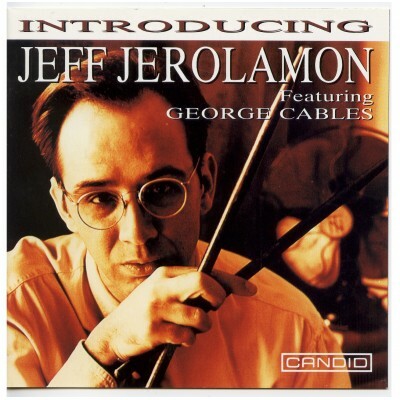 Jeff has especially enjoyed the visits of pianist George Cables to Europe and their tours together. They were in the midst of a three-week autumn tour of Spanish clubs with bass player George Javier when Jeff proposed that they trio make an album under his leadership. This diverse programme includes a brace of standards given un-hackneyed interpretation, a couple of Monk classics, Dizzy Gillespie's most famous and durable composition plus an attractive chart by George's one time employer Bobby Hutcherson. 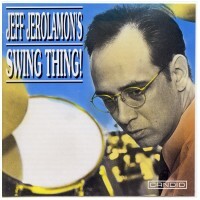 Jeff Jerolamon - Swing Thing!